Marvel has thrown some lavish weddings throughout its storied history. So it’s a fairly big deal when the publisher sends out a “Save the Date” well over six months in advance. 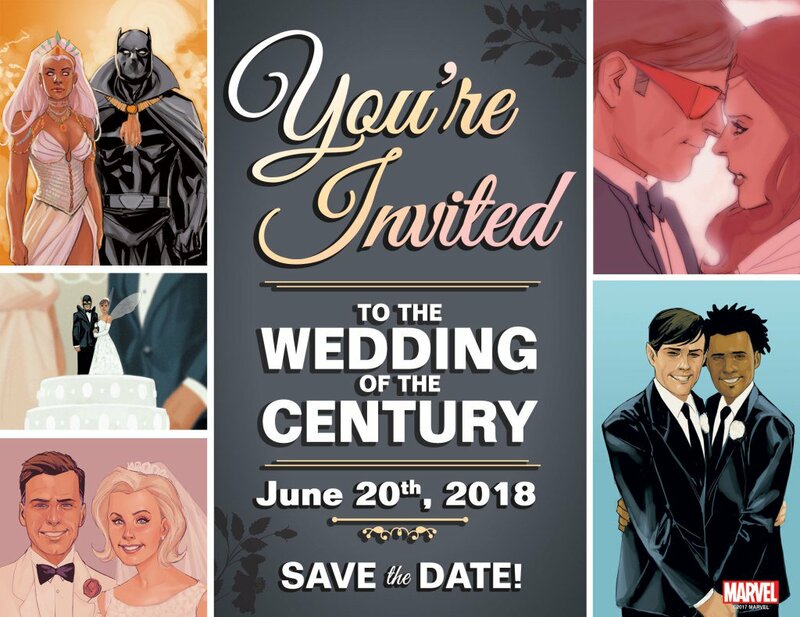 On Monday morning, Marvel sent out a promotional graphic inviting readers to attend “The Wedding of the Century.” There’s a date of June 20, 2018 attached, along with art from Phil Noto (Avengers, Inhumans: Once and Future Kings) that spotlights some of Marvel’s most memorable weddings. The couples seen here include Reed Richards & Sue Storm, Black Panther & Storm, Cyclops & Jean Grey, and Northstar & Kyle Kinadu. That should bode well for the happy couple about to get married… whoever they are. Try to forget that more than half of the couples seen on this graphic are no longer together. This is a happy occasion, after all. There is one important detail that seems to be missing from this announcement. There’s no word on exactly who is getting married. This will be a subject ripe for speculation in the coming months. It could be Peter and Mary Jane, it could be Steve Rogers and Sharon Carter, it could even two characters that haven’t even gotten together yet. 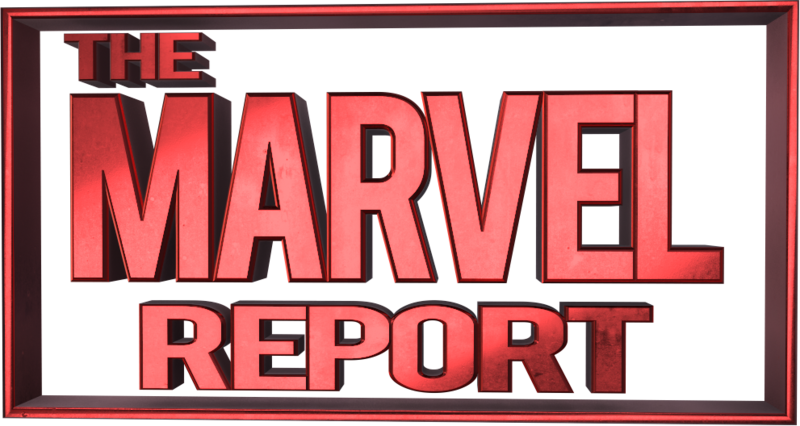 We’ll be sure to follow this story here at the Marvel Report, keeping track of who’s getting hitched. And we’ll be watching to see who catches the bouquet.